The Disneyland Resort has posted operating hours for entertainment, restaurants, food carts and merchandise stores at Downtown Disney. 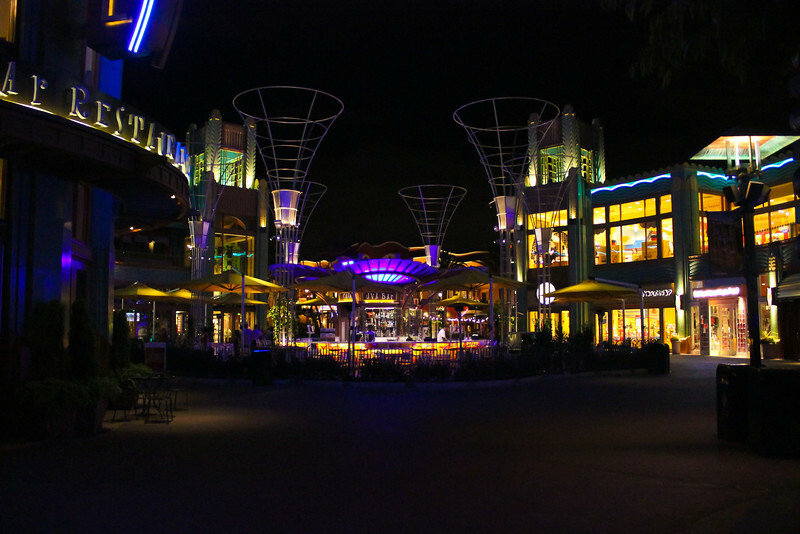 In addition to both California Adventure and Disneyland, Downtown Disney will be open, and some locations will continue operating all night. The Arena – open until 3 a.m. The 19th Hole Bar – alcohol available until 1 a.m.
Non-alcoholic drinks served until 3 a.m.
Limited food menu served until 1 a.m.
“1/2 price” special on all Arena games from 12-3 a.m.
For more information, click here, and join the conversation on Twitter using the hashtag #Disney24. Looks like the entire Disneyland Resort will be open for ’round the clock fun.